An excellent specimen of Benitoite crystals with contrasting white Natrolite from the USA. Botryoidal Malachite with an old handwritten label from Australia. A neat Cuprian Smithsonite from Tsumeb Mine. Very well formed lustrous Cuprite crystals from the Dem. Rep. of Congo. A rich crystal specimen of Caledonite from the USA. A neat single crystal of Scheelite on Quartz from Romania. Over the next couple of months, there will be a couple of staff changes at our office. After seven years of working for Crystal Classics, David Whipp has decided to relocate to the North of England and start a new life with his girlfriend Ruth. He will be leaving us at the end of May. 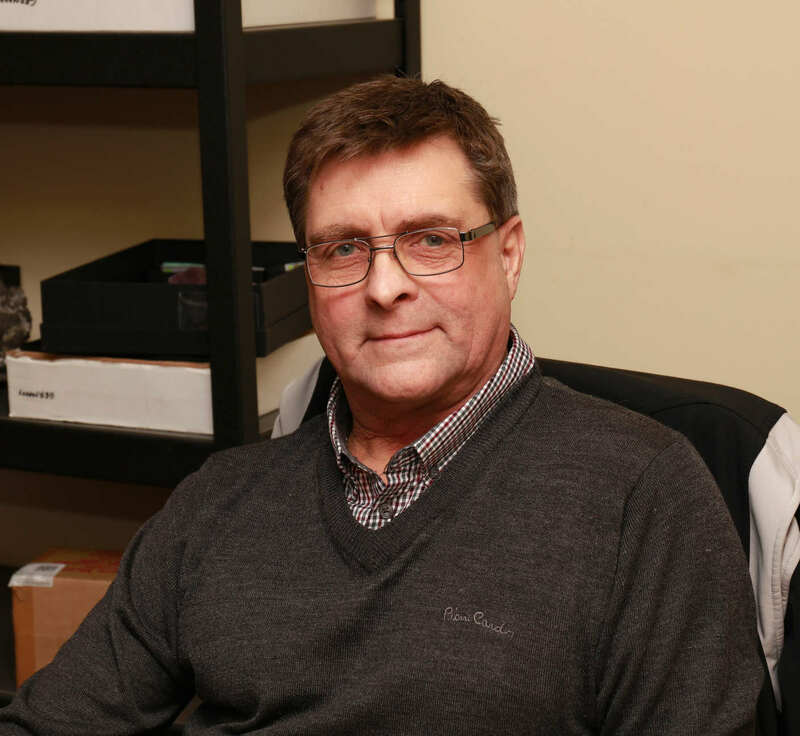 He has been a very loyal and hardworking member of staff over these years, both in the office and at mineral shows here in the UK and overseas and he will be greatly missed by Ian, Diana and the rest of the Crystal Classics Team. If you are interested in either of the two above positions please send your CV to debbie@crystalclassics.co.uk.